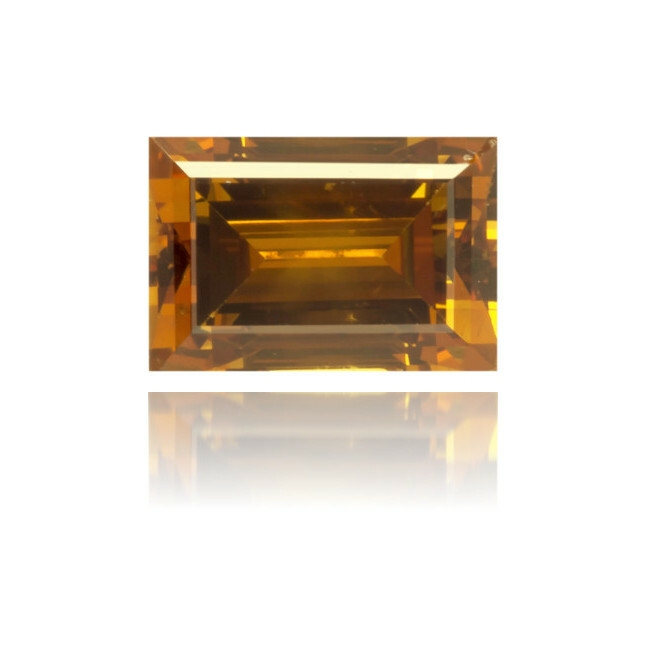 Palatial 0.45 carat, fancy deep orange diamond, stepcut into a rectangle and IGI certified. 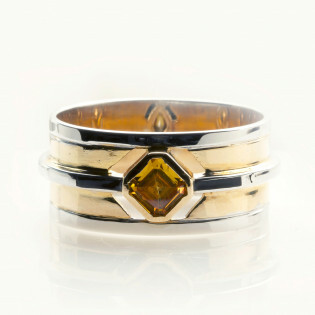 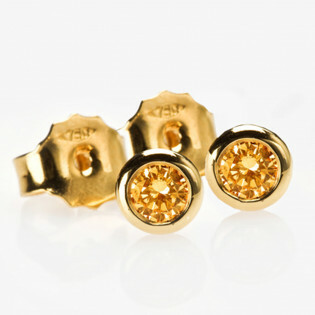 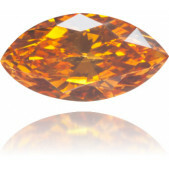 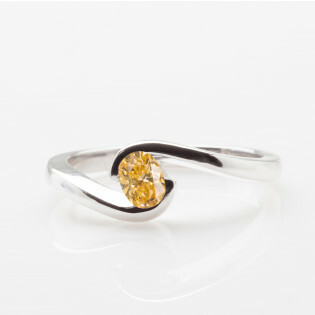 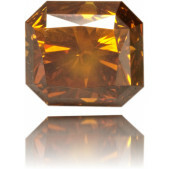 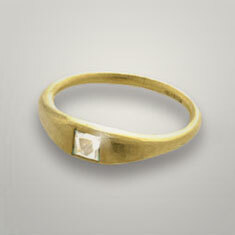 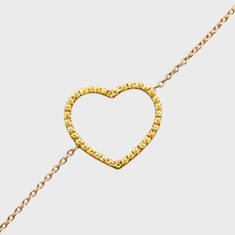 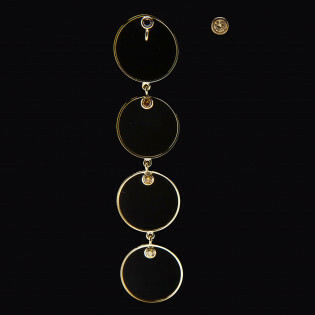 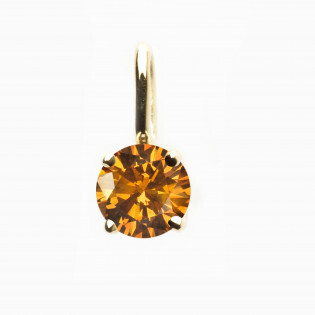 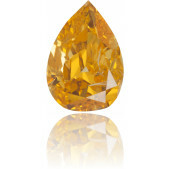 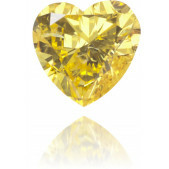 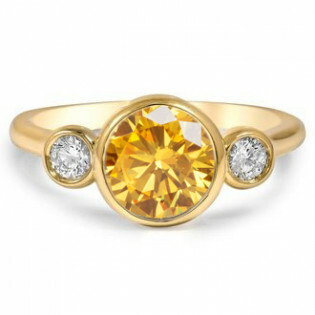 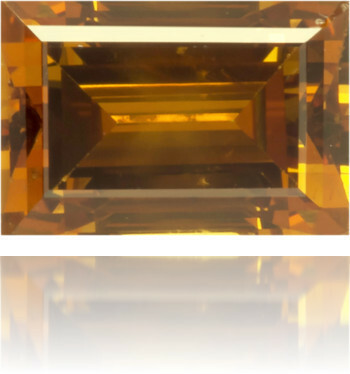 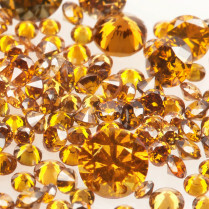 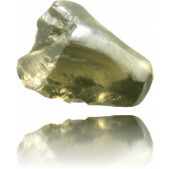 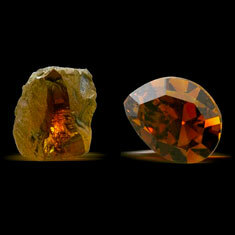 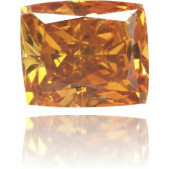 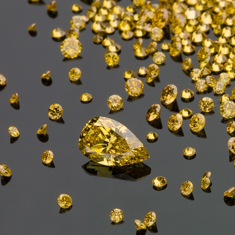 This stone has an unusual shape for an amber colored diamond. 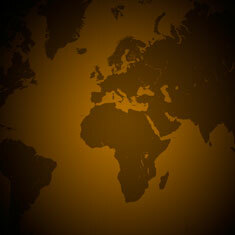 When you are skiing in the Swiss mountains, I advise you to cover yourself with Piz Buin suntan. 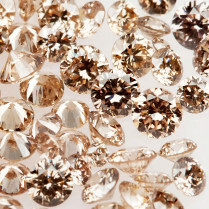 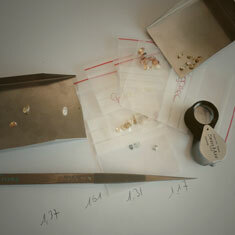 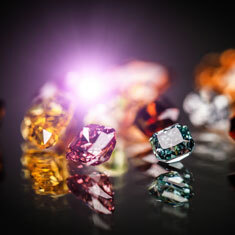 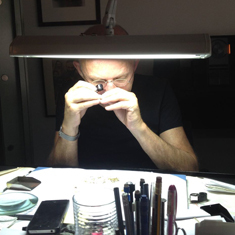 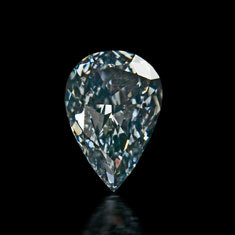 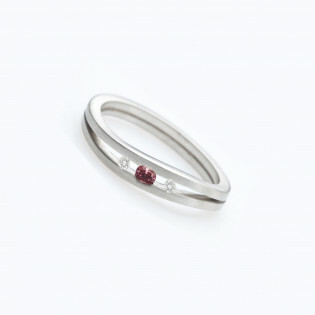 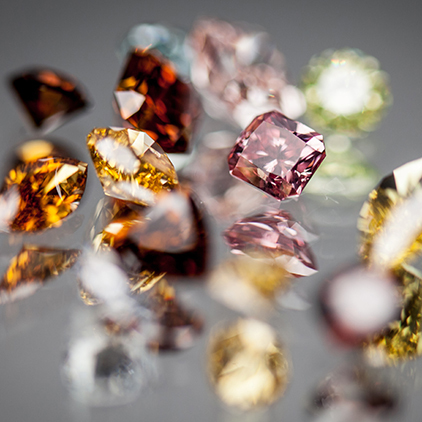 You will then discover that this lovely diamond has exactly the same color.